Have you ever been to tea at a ritzy hotel? One of those places where you’re convinced the waiter is silently willing you to commit an etiquette gaff? Where you second guess yourself with questions like: ” Should I pour the milk in my cup before the tea?” “Do I spread the jam on my scone and then slather on the clotted cream?” ” Is it OK to eat all those delicious cakes and scones before the sandwiches?” Well, I don’t know about you, but that’s absolutely not my idea of a relaxing afternoon retreat from reality. A tea party should be fun. A brilliant excuse to get together with friends, wear something girly (or not, if you’re a guy) pig out on yummy foods you usually avoid, sip a glass of champagne, slurp down teas you love and try some new ones. 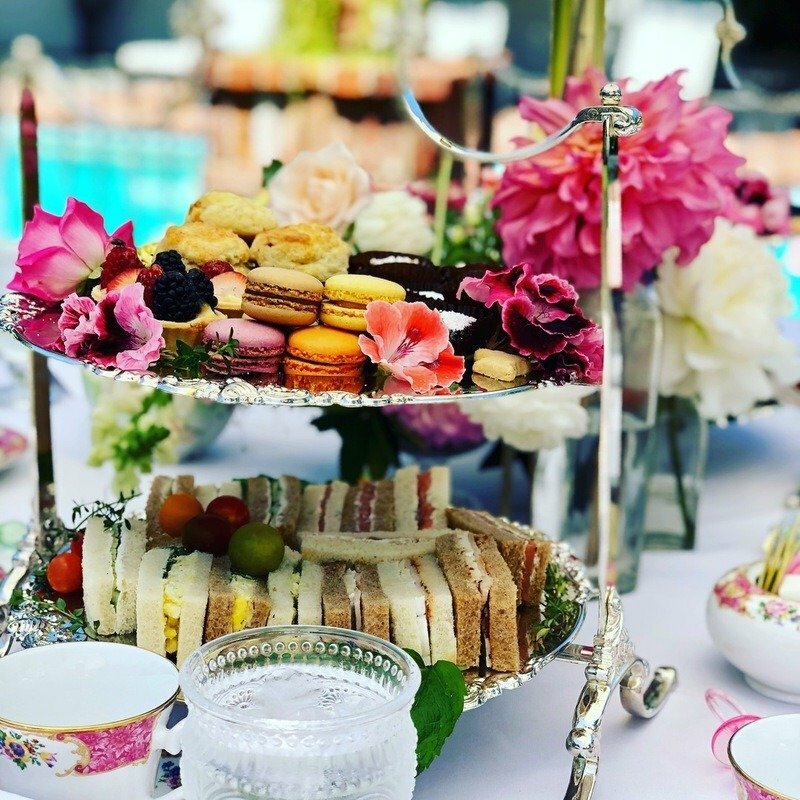 The beauty of hosting a tea party is that everything, except the hot tea, can be made in advance and set out on the table before your guests arrive. Being a hostess can be a lot of work, but it doesn’t have to be. You don’t have to play by the rules. Rules are made to be broken. Create your own tea party template. Own it. My mantra for entertaining at home is “keep it simple”. 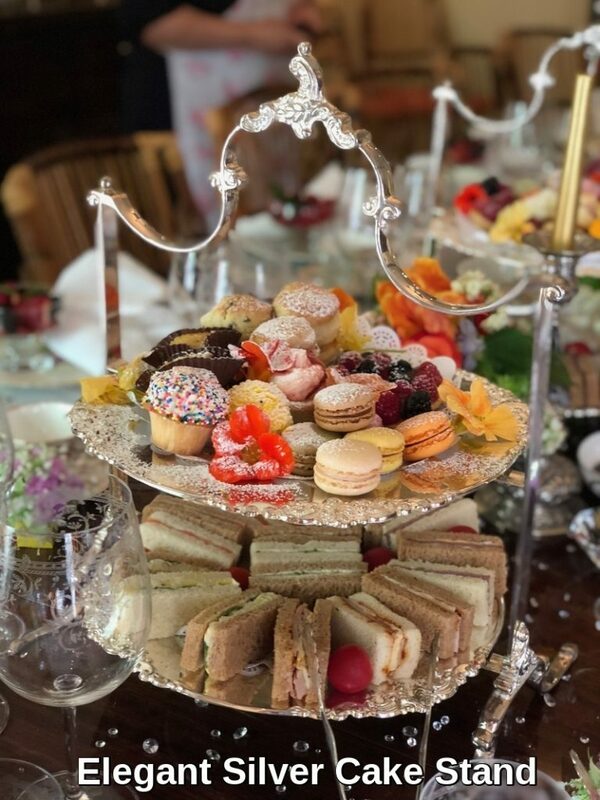 I’m a caterer, it’s my day job to put together lavish tea time spreads for my clients. But when I’m hosting any kind of party at my home I always make it easy on myself. I want to enjoy time with my guests and not be fussing around in the kitchen. Sticking with that of ease of entertaining theme, I’ve put together some simple tips to help you host a stress free tea party. I’ve stuck with the English tea time model, but feel free to add your own twist to this basic format. Tea Sandwiches – How Many Should I Make Per Person? The only element of your tea party you should try and make are the sandwiches. They are easy to assemble and actually taste better if you make them the day before. When we cater a tea party we usually provide our clients with 4 different types of sandwiches. Allotting each guest either 2 fingers or 3 quarters (triangles) of each type of sandwich. Then, spread a thin layer of filling all the way to the crusts (edges) on half of the buttered bread slices. Lay the sandwiches flat in layers, placing a sheet of wax paper between each layer. Cucumber & cream cheese – wash cucumbers, no need to peel, slice thinly, blot dry with kitchen paper. Tomatoes & goat cheese – wash tomatoes, slice (not too thin) blot dry with kitchen paper. Cakes and scones – Should I Make Them or Buy Them? Not everyone is a born baker or even has the time to bake. I say buy them. Support your local baker and economy. The cakes are dead easy to find. Look for beautifully colored bite size gems that will add a splash of color to your presentation. 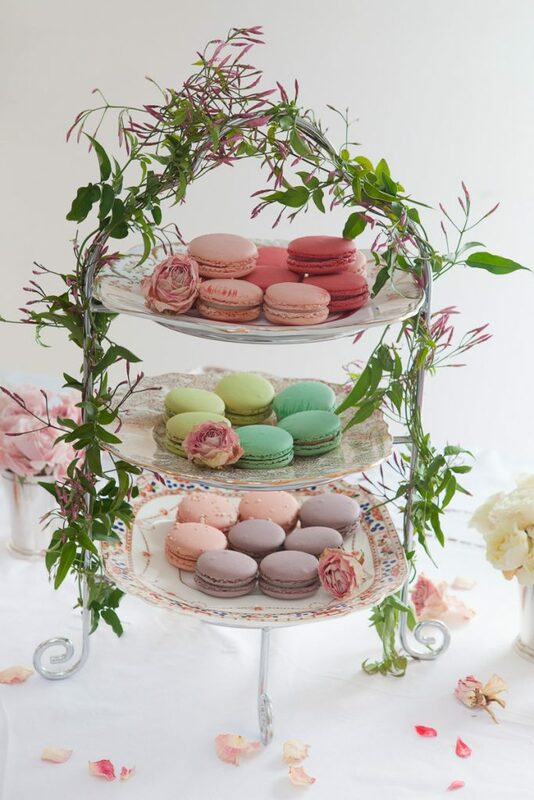 I love French macarons and mini fresh fruit tarts. The scones might be more of a challenge to find, especially if you are looking for smaller sized ones. Do your due diligence and taste scones from several different places until you find that perfect specimen.Calories be damned! Don’t fret if you can’t find any bite size scones. You can always pre-slice them. That way your guests can take half and come back for more later without looking too piggy. Scones really have to be served fresh. It’s best if you can buy them on the day of your party,. But don’t freak out if that’s not possible. As soon as you get them home, place them in an airtight bag & freeze them. On the day of your party, let them defrost at room temperature and reheat gently in a 300 degree oven for about 5 minutes. Believe me, no one is going to judge you for not baking your own treats. They’ll be too busy marveling over the delicious goodies you’ve sourced for them. 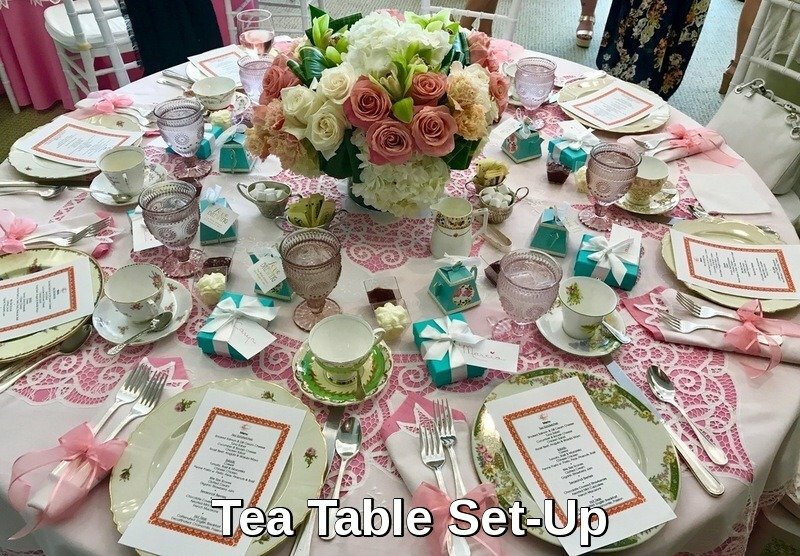 Use this checklist to make sure you have everything you need to host your tea party. The styling of your party is totally up to you. Perhaps you’re a Shabby chic vintage type who loves colorful mismatched china or perhaps you prefer a cleaner more contemporary look and want to go with all white china. Whatever your style it’s OK. Use your imagination. Have fun with it. Check out our gallery page or Pinterest for some ideas. 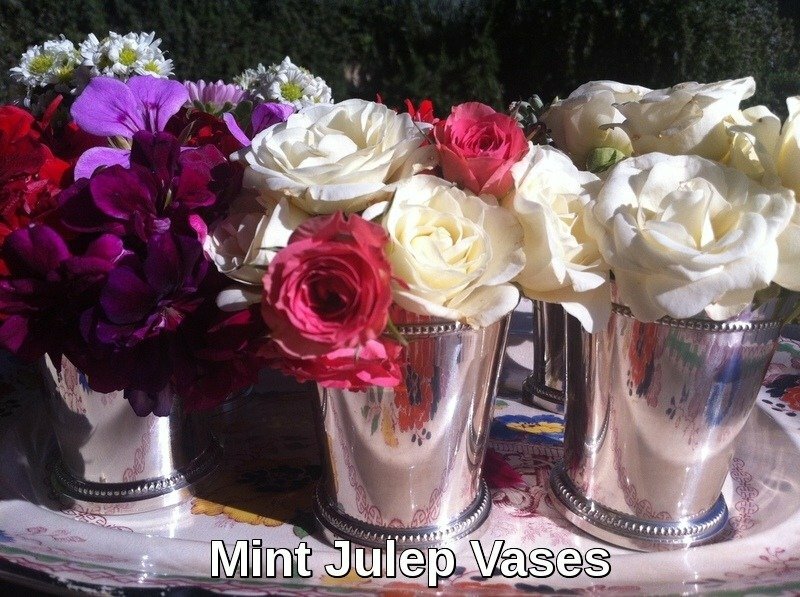 Flowers – What Sort of Vase Should I use? My advice is always to keep your flower arrangements low and simple. 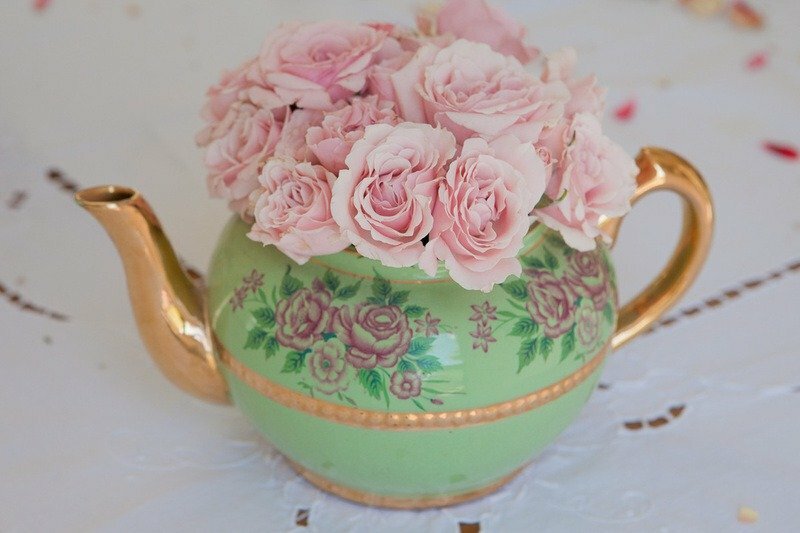 We like to use our retired vintage teapots as vases. We also use mason jars, tea cups and mint julep cups and vintage glasses… Get creative Check out your local thrift stores for all manner of vintage things that could be used for vases. The possibilities are endless and up to you. Tea – How Many Teas Should I serve? Loose Leaf Tea or Tea Bags? The hot tea is really the only thing you’ll have to make during your party. I suggest you choose 2 different kinds of tea, one with caffeine and one without. Perhaps a black tea, like English breakfast or Earl Grey, and a fruit or herbal tea, like blackberry and vanilla or lemon and ginger. Loose leaf always tastes better, but it’s a real pain and pretty messy, especially if you have to keep making pot after pot of tea. Plus you’ll need to have two tea strainers on the table, which you’ll have to keep emptying. I say go with the tea bag option. There are so many amazing choices out there, and honestly, most people can’t tell the difference. Just before your guests arrive, make a pot of each kind of tea, plop them down on the buffet table and let your guests help themselves. Should I Opt For a Buffet Tea Party or Full Sit Down? If you are hosting your first ever tea I strongly suggest you go with a buffet food service. Place the food and tea on one large table, make it look beautiful and plentiful. Place the cups and saucers, plates, silverware, napkins, water glasses and flower arrangements on your guest tables and encourage your guests to help themselves to food and drinks from the buffet table. A full sit down party is a lot more work and really requires serving staff to help. Remember the mantra: Keep it simple. Plus a buffet is more relaxed option for everyone. I could go into a lot more detail about each section I’ve mentioned here and probably will do in future blogs. 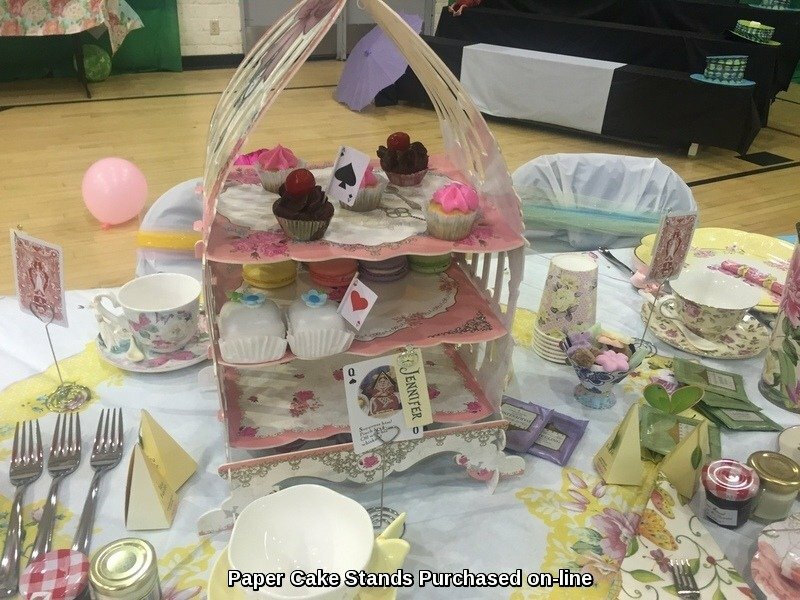 But for starters this is all you really need to know about hosting your very own tea party. Keep it simple and don’t overthink it. And above all, have fun!